We support the academic and campus life mobile experience. The intersection of technology and pedagogy within the Division of Digital Learning creates essential resources for information and learning that is available anywhere, anytime regardless of mobile platform or device. With our continual research of the latest mobile technologies, we ensure a high-quality experience that is engaging, intuitive and promotes collaboration. We are Mobile Strategy & Innovation. We offer numerous services focused on mobile content, communication, and strategy. The core of these services focuses on student life, engagement, and retention with relevant information while on-the-go. In addition to students, we work with faculty, staff, alumni, and community partners to comprise an overarching mobile experience for everyone associated with UCF. 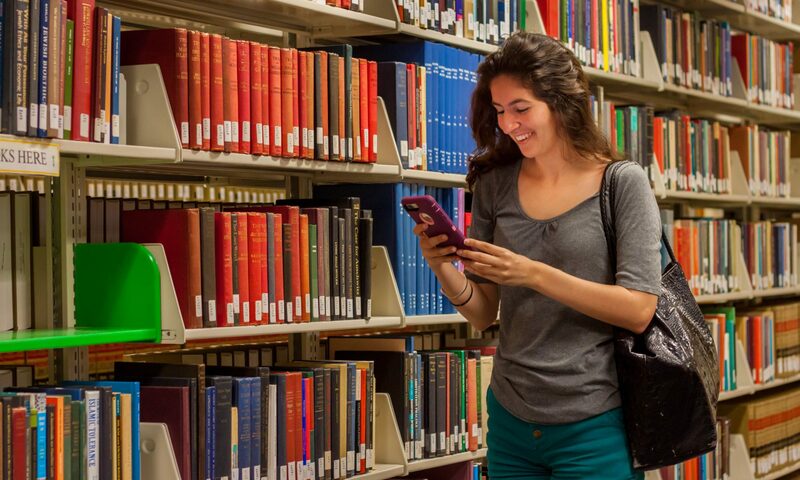 As mobile devices become more pervasive in education, mobile apps continue to be an essential part of the learning and campus experience. Check out some of the apps that UCF officially supports to make your mobile experience more valuable at UCF. We work closely with CDL to perform full campus research on the impact of mobile apps and devices at UCF. This includes an annual Canvas (Webcourses@UCF) Mobile survey and biennial survey on the landscape, access, and beliefs of mobile technology for campus life and academic use. In addition to surveys, we collect key performance indicators (KPIs) on various mobile services including UCF Mobile and Canvas Mobile apps. Do you have an idea on how to use mobile technology to enhance academic and campus life at UCF? Let us know! We’re always here to discuss all ideas.